ISLAMABAD: Election Commission of Pakistan (ECP) Secretary Babar Yaqoob Fateh Muhammad will appear before the Senate Standing Committee on Parliamentary Affairs on Wednesday to give a briefing on the alleged failure of the Result Transmission System (RTS) on the election night, an issue that has put a question mark on the transparency and fairness of the July 25 general elections. The Senate committee, headed by Sassui Palijo of the opposition Pakistan Peoples Party (PPP), has invited a number of senior parliamentarians from the government and the opposition, including chairman of the Senate Standing Committee on Interior Rehman Malik, chairman of the house committee on law and justice Javed Abbasi, chairman of the house committee on information Faisal Javed, Pakhtunkhwa Milli Awami Party Senator Usman Kakar and Moula Bux Chandio of the PPP, to attend the meeting. The committee is meeting at a time when the National Assembly has already approved constitution of a 30-member bipartisan and bicameral special parliamentary committee on the demand of opposition parties to investigate charges of rigging in the general elections. 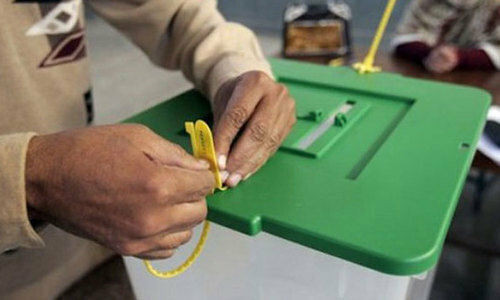 The RTS controversy came to the surface when results of the elections were abruptly stopped around midnight after the daylong polling and later ECP Secretary Babar Yaqoob Fateh Muhammad appeared on TV screens and informed the perplexed nation that the RTS had “collapsed” and that the ECP was now returning to the traditional and manual method of tabulating the results and, therefore, there could be an inordinate delay in the announcement of the unofficial results. According to sources, soon after the secretary’s news conference, the senior and top officials of National Database and Registration Authority (Nadra), the creators of the RTS mobile app, had protested with the ECP and claimed that the RTS was fully functional and they also provided some documentary evidence to prove their claim. However, Nadra officials were simply told by ECP officials that they had decided to stop using RTS since it had started “malfunctioning”. The RTS was developed by Nadra after an agreement with the ECP in February when the commission had expressed the desire to receive the results directly from polling stations as done by newspaper and TV reporters. The system, they said, was only meant for the quick announcement of the results for the media through the ECP and that was why its link was provided to the PTV. Some Nadra officials allege that perhaps it was the ECP’s own costly Result Management System (RMS), installed at the offices of the returning officers (ROs) for tabulation of the results, that had stopped functioning and the commission had put the blame on Nadra only as a cover-up as the RTS and RMS were independent systems and there was no integration between the two softwares. On the other hand, a spokesman for the ECP had refuted Nadra’s claim that the RMS had failed on the election night, reiterating the stance that the RTS had crashed. He alleged that Nadra was making these claims only to hide its own “weaknesses”. PPP Secretary General Farhatullah Babar had stated that traditionally the polls day manipulation took place in the RO offices at the time of consolidation of results and the RTS had been introduced to reduce the role of the ROs. “The RTS worked perfectly well on the election day for some hours until someone was scared by prospects of eliminating the role of ROs altogether and decided to discontinue it,” he had alleged, while calling for a “forensic audit” to find answers to a number of questions.